It is our policy to provide a full range of products and services to all of our customers. These products and services will be priced reasonably and delivered with customer satisfaction as our number one goal. All dealership employees will be fully trained and will conduct business in a positive and professional manner. Our goal is to create an atmosphere in which our employees can develop to their fullest potential, and the company can maintain an excellent reputation, thus continuing to be a leader in our community. Come on by our Lee’s Summit location and let our history just be the tipping point to how we can best serve your needs. That’s right! 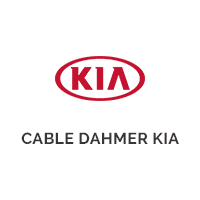 It’s all free when you shop with the Cable Dahmer Kia of Lee's Summit. Process Loyal – We will become brilliant in the basics and commit to doing the ordinary things extraordinarily well. We are committed to becoming faithful in the little things because, in pursuit of perfection, we can expect to achieve excellence. At Cable Dahmer Kia of Lee's Summit, we have a wide range of customers, each one wanting something a little different. To make things easier, we offer an impressive variety of inventory to match. Can you believe some dealers only offer one type of inventory? We want everyone to drive away in the right vehicle for their budget and needs, so we offer our customers a variety of vehicles to help make that happen. If you’re looking for the latest and greatest, our new inventory can provide you with a sparkling new ride. If you’re looking for something with proven reliability, a vehicle from our used car inventory might be a better choice. We even have certified pre-owned vehicles that have each gone through a rigorous inspection to ensure quality. You can also pick out a bargain vehicle and get an amazing price or a new vehicle at a used price with our Loanervilles. With such a huge selection of makes and models, you are sure to find something you’ll love. Stop by the dealership today and experience it all for yourself! *For complete information concerning deductible, term, conditions, and exclusions please refer to the Century limited powertrain warranty. Certain vehicles may not qualify.